One of the things that was really interesting was baking with the girls. Most Chinese people have never used an over (and many have never seen one) – they just buy baked goods from the store. Since they had so much fun making the cookies, April asked to make cupcakes as well. It was funny because Air disappeared for a bit, so I let April choose the colors of the frosting, and when she got back, Air decided that she was going to use all the green frosting, and decided that April was going to get all the purple (even though April had chosen both colors). When I asked if they were ready to switch, Air said, “No, I’m good!” and April just tilted her head. Since April is much quieter and more passive, I pressed, “April, do you want to switch?” She looked at me, and stood straighter, and said in a defiant tone, “YES, I do.” Air looked offended and replied, “No, you are happy with that,” and then loudly talked in Mandarin for a moment. I interrupted and cheerfully said, “we need to share – let’s switch!” Air frowned and April had a huge smile. April – as I mentioned before, has a sister, and Air does not. I think Air is very used to getting her way and has not had to really share before. It was an interesting experience for all of us. They decorate their cupcakes very differently too (Air’s are first, April’s are second). The food was another thing that was very different for them. They weren’t used to eating such heavy food, or having so many sweets, or having raw salad for that matter. Most of the food they enjoyed, but a lot of it was new, and some clearly was not a favorite (to put it nicely). They did both enjoy cereal, and told me that they wished they could bring back some milk with them since our milk (2% in our house) tasted so much better than the milk in China. Our second Sunday, I went out to get donuts – because I figured they needed them at least once. I got a huge box of them (and was very sad I couldn’t have any). We all sat down for breakfast before church, and had a serious discussion that luckily was very lighthearted. Since they were joining us at church, I asked them how much of the sermon they had understood the prior week (“not much” they confessed), and I asked them what they know about Christians, Christianity, and Jesus. Again, they confessed, “Not much.” I asked if they mind if we explained a bit to them before church so that they could understand it a bit better, and they were really excited. The prior Sunday we had explained the basics of the Bible and how to use it and what it meant to us (and given them their own bilingual copy), but this was the important stuff. We started with sin and how we believed everyone sinned. We explained how in the Old Testament people made sacrifices to try to make up for their sins. We then explained that Jesus was the son of God, sent down as the one perfect and final sacrifice so that if we put our faith and trust in him, we are made clean. We talked about how we were believers and that we try to live like Jesus and we have a personal relationship with God, which involves prayer and forgiveness, and that we use the Bible for guidance. They asked questions and we got into a discussion about the Da Vinci Code, which was great because it brought the Gospel into everyday perspective. It was a wonderful conversation because it was presented in an educational manner but still conveyed the truth without being pushy in any way: Here’s what we believe, and this is how we (and Christians) understand things, and why certain things are important. What was the absolute best part: when we went to church just after, our pastor presented the gospel again, and I could see the girls nodding their heads; I knew they understood what was being said, even if they didn’t believe it. And as much as I love culture-exchange and learning about other places, my ultimate goal is to share the truth, and hosting was a marvelous opportunity. We were incredibly blessed by the time with the girls. freedom – ask about all govnt posit commun, but people can believe other things – thoughts? On the second Saturday we had our students, we let them sleep in because they were totally exhausted. By about 11 am, we decided we had better wake them up. I made pancakes, bacon and eggs, which turned into more of a brunch, but was still good. (By the way this mix is great if you are gluten free. I make regular pancakes for everyone else though.) After that, we asked the girls what they wanted to do, but the only thing they really wanted was to go shopping. My husband took them so I could get some stamping done, and when they got back, we all headed to dinner at a Mexican restaurant. We had asked a friend who recommended a place with great mariachi music, and it was a lot of fun! The music was great and the food was pretty good too (especially since I was limited in my selection). Sunday morning I headed out and picked up donuts (unfortunately, no Dunkin Donuts nearby for me to grab GF donuts), and headed home. When we all sat down for breakfast before church, I asked the girls what they knew about Christianity and the religion, since I knew church the week before had been confusing. (We had given them a bilingual Bible and helped them flip through it to find the verses during the sermon, but the sermon moved very quickly and covered a lot of topics the prior week.) The discussion was great, but I don’t have time to cover it now – look for it in a later post (edit: the cupcake post!). We got to church and sang songs (they really moved Air, who was holding back tears, but couldn’t explain why). The sermon was dead on with what we had explained and I saw them both nodding in understanding, so I was very glad we had had that prepping conversation. After church we grabbed a quick lunch at El Pollo Loco, then went to visit my parents. My parents live about 1.5 hours away, but they have animals and property, so we thought it’d be a fun trip – and it was. The girls all slept on the way out there. I tried to wake up my daughter with her name, with shaking her, with saying, “wake up,” but she refused to move until I said, “Grammy’s farm” – then she was WIDE AWAKE, and therefore Air and April were too. We pulled up to their house to a chorus of “wow, wow, wow” from the backseat. We said hello to everyone as soon as we got out of the car and quickly changed my daughter into her bathing suit so that she could swim in the pond, and we all covered ourselves in sunscreen. The girls and I went to see the animals with my dad. The girls kept laughing and taking pictures – they had a wonderful time, and the animals loved the attention. My mom joined us, and we went into the chicken area so my daughter could collect the eggs. I caught a chicken for the girls to hold, and I showed them how you can put it to sleep (one of my favorite farm tricks). We then headed over to talk with my grandparents, who had driven up, and watch my brother play with my daughter. The girls decided they wanted to swim, so we went up and changed into swim suits and got into the pond (with the fish). About this time, we got a phone call from my other brother, who decided to come up with his wife as well – so my entire family was there (minus aunts/uncles/cousins). We swam for a bit, then headed up to the house for a yummy dinner of tri-tip, chicken, fruits and veggies. After that, we watched the sunset, and walked around as my dad fed the animals, then sat around talking for a while We headed home after the sun had totally set and the sky was clear enough to see all the stars. The girls talked for a bit about what a great time they had, then fell asleep on the drive home. It was a wonderful weekend. My life has been incredibly hectic for the last few weeks… my daughter’s birthday, family visiting, VBS, VeggieTales event, and now we have visiting Chinese students with us. I keep trying to catch up on posts from way back when, but I decided that what I need to do is just post from now on, then catch up when I can. So here we go, jumping in in the middle, no background. It’ll come in a bit (hopefully next week when I have a bit of time). Last night there were no plans, so I thought I’d have the girls make cookies. In China, most people don’t own an oven (except the very rich), so they have never baked cookies, a cake, anything. They have no idea how to mix the ingredients, or how the oven works. Since we had some time (and they are going to Disneyland today, which means they can enjoy and share them! ), I figured it was the perfect time. After I got dinner started, I called them in the kitchen. My 4-year-old was bouncing off the wall excited. She loves cookies – both making them and eating them. I decided that instead of the girls trying to work on one recipe together, I’d give them 2 different recipies. I opened my Betty Crocker baking book (from 1979!) and found the chocolate chip cookies and the snickerdoodles. I pulled out all the ingrediants and the measuring tools and explained the basics. My daughter kept trying to do the measuring and mixing since she bakes with me all the time, and I needed to remind her that she needed to let the girls have a chance because they had never baked before. It was hard for my daughter to understand that someone older than her had not done something – that she was the more experienced one. After mixing everything up – very nervously and carefully! – they rolled everything into balls so they could cool while we ate dinner. After dinner, I had them pop the cookie dough balls onto the cookie sheet, set the timer, and we waited. After a few minutes, I showed them how to remove the trays then move the cookies to the cooling racks. It was fun to watch them go through all the steps being very careful as they learned, then growing in confidence and actually enjoying it. (Grown ups learn much faster than preschoolers.) By the end we had nearly 100 cookies, all perfect, and they were very proud of themselves. April turned to me and said, “Cool. I’m so cool!” Yes, yes you are. One of the most fun things I’ve gotten to do with the students this year is take a trip to UCLA. They are required to visit a bunch of different kinds of places for their program – Police, Fire Dept, volunteer, medical, and schools, for example. They were headed to UCLA, but couldn’t get a tour, so they were going to walk around and do a self-guided tour – only no one had really been there before! Since UCLA is the school I graduated from, I was delighted to offer to go and walk around with them. After a bunch of traffic, we finally made it. We got out of the car, gathered at the Bruin Bear, where I told them to meet if they got lost (but no one was getting lost, right? RIGHT?) and then made a quick run to the bathroom. From there we sat down and I gave them a brief intro of UCLA – I did a bunch of research so I had all my facts and figures down and could actually give them an informative tour. However, straight information is no fun. What *IS* fun is telling people the urban legands of UCLA that incoming freshman are told. With that warning, we headed off for a 2 hour tour of campus with the fascinating details of psych experiments, WWII bomb shelters, pools on roofs, helicopters moving buildings, and bodies buried under staircases. We had a great time – even if there was a ton of walking. The students seemed to enjoy themselves and really appreciate the beauty of the campus. I got to take my daughter, who was very well behaved (and thusly rewarded with a visit to the candy store at the end of the tour). It was a fun day. Last year our favorite activity with our visiting students was going to the County Fair, so we knew we had to go again this year. (We go every year, but it’s super fun with people who have never been to something like that before.) We got there on Saturday around noon, so we walked around for just a little bit, then we got lunch. The girls were absolutely fascinated with the food. We explained that fair food is completely different than real American food. It took them forever to decide, but they finally settled on food (and by that time, my husband and daughter were already done eating). I had a bit of a hard time this year since I’ve gone gluten free, but it was actually really nice – it was the first time I left the fair without feeling overstuffed. For lunch I ended up with a giant sausage with onions and peppers (no bun) and had the turkey leg for dinner. No junk (comparatively); however, I did miss trying the one random junk thing we usually get – last year we tried fried oreos, the year before we tried the fried koolaid, then before that the Klondike bar (we have yet to try the cookie dough or avocado). Anyway, no crazy foods for me anymore (my stomach thanks me). But I digress. After lunch, my husband took our daughter to go on the kid rides, and I walked around with the girls. We did a bit of shopping (I love fair shopping – such unique products!) – they both bough a pair of earspirals (my SIL and BIL bought me a pair a few years ago and I simply LOVE them), then we moved onto the craft area. We took a look at all the cakes, table settings, blankets, woodworking, photos, paintings, etc – some made by kids, some made by adults. I always love looking at the table settings and the woodwork, but this year I especially loved the “Green Crafts” section. These were crafts or projects that needed to be made from (supposedly) recycled materials. In truth, there was a lot of new materials made to look used – duct tape, plastic spoons, cotton balls, etc. (So many things I have seen on pinterest; I saw 5 spoon mirrors.) Anyway, the most awesome was a duct tape dress and tux (left). Seriously, everything was made from duct tape – including the boutonniere, the corsage, and the purse. Better than that, there was a photo attached of the girl who made them with her boyfriend wearing them (to prom or something)! It was fantastic. We had a great time in those buildings, then we moved on. Next, we met up with my husband and daughter at a kids’ magic show. I was all set to enjoy it, but I was just thoroughly insulted. The guy asked for a “beautiful girl” volunteer and “an ugly – just kidding – average looking boy.” Once he got them up to the front on his tiny stage, he told them that “one was going to be the wonderful, amazing, fantastic magician, and the other was going to be the lovely assistant.” Then he turned to the girl and said, “So you get to be the lovely assistant. You stand there… and be lovely. Look, you’re done.” And then he turned to the boy and told him he needed to wear cool clothes (and used a bunch of ridiculous props here which embarrassed the kid to the point of making the poor boy cry and needing to get a new volunteer), and that the boy, in his cool clothes, got to do the awesome magic and be popular with everyone. I did not like one bit of his show. I thought it was sexist, hurtful to kids, and just obnoxious. Thankfully, we headed to the pig races after that, which are always fun. We then grabbed some dinner and watched the hypnotist (Mark Yuzuik), who has always been one of our favorite acts at the fair. Then we took the girls to the finale of the night – bull riding. We didn’t prep them at all, so they had no idea what to expect. First, there was a skydiver with the American flag. As he was coming down, the announcer thanked the service men and women, and everyone cheered. Then the flag landed (see below) and everyone stood for the national anthem. From there, the first bull was let go, and the girl’s jaws just dropped. We let them see 2, then I turned to them and explained what was going on. At first they were very confused, but as they saw more and more, they began to cheer and get really loud and started to really enjoy it. By the end they were cheering louder than many of the other people surrounding us. At the end of the show, there was motorcycle jumping (they even did flips!). Then we took the girls to the corner where the pens were, and we were able to meet one of the cowboys. After the motorcycles and bull riding, we headed home. The girls had an awesome time, but it was a really exhausting day. Once again, our family is hosting two girls from China. We did this last year and had an absolute blast! Connie and Nancy*, our students last year, were so wonderful and so much fun we just didn’t want them to leave. By the end of their 2 week stay they really were a part of the family – they were doing dishes and reading my daughter her bedtime story. We went to dinner, went to a show, and experienced American culture – we are so excited to get the chance to do it all over again this year! Air and April arrived late Thursday night. Air loves basketball and is incredibly outgoing. You would know her what she thinks the minute you meet her. She got her name from Air Jordan. April is more of an introvert – a reader, and a bit of a mystery. Her name came from her birth month. Absolutely fascinating to me – April has a younger sister. I didn’t know that was possible in China with the one child law, but I recently found out (before they came), that more than one child is possible, provided you pay the government a fine. Their classes are incredibly fun and interesting. In a two week packed schedule, they have a bit of in-class time (which is located at our church), then they have a bunch of field trips. They visit Chapman, UCLA, Disneyland, Hollywood, a fire station, library, police dept, senior center, and much more. It’s a really neat program. At the end, they need to prepare a report then present it to the class. Weekends they have free with their host family (as well as breakfasts and dinners). *Chinese students often have an English name when they have class or when they visit. Last year Nancy’s real name was Nan (so Nancy was close). Connie didn’t have an English name, so we got to choose one for her. We talked about her personality and characteristics, and chose Constance for her, with the nickname Connie – it fit her perfectly. One of the things I have yet to mention on my blog is that I am a VeggieTale Ambassador. This basically means that I get to throw VeggieTale parties every few months at my church (and wherever else I want to). I basically get a movie kit in the mail, which includes posters, stickers, ideas, coloring pages, and the movie (of course! ), and I am required to do an event with at least 50 people. The most recent movie was MacLarry, and we decided to use the party as a wrap up to this year’s VBS. We always to music, food, a coloring table, and 2-3 crafts or games for 45 or so minutes before starting the movie. This time, because so much of the story is about practical jokes, I found pom pom shooters (tutorial here) and balloon paddle ball (tutorial here – we used Popsicle stick instead). 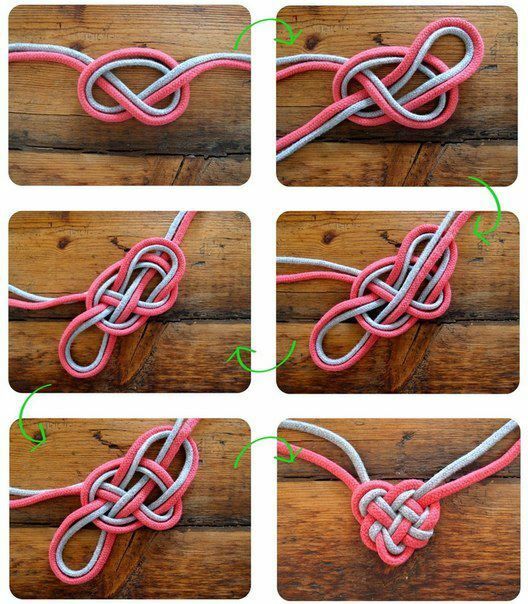 I found instructions for this really neat celtic knotted heart, which I put out for the adults and teenagers to try. I also found a cute Scottish/English dictionary to print on a single page, but I can’t seem to locate it at the moment. The coloring table (above) had coloring (duh), the knot (we used yarn), and the dictionary. The pom pom shooter table was across the room. I took a trip to Dollar Tree and bought HUNDREDS of pom poms. Why? Because I didn’t want the kids to run out and start shooting popcorn or carrots across the room (the plan worked, by the way – no flying food). The balloon game was a big hit too – my husband blew up like 30+ balloons and put them in the baskets in the corner, and the kids colored paper plates, then had them glued to popsicle sticks (an adult watched the glue gun). Then they bounced the balloons back and forth. After 45 mins or so of games, we all got some more food, and sat down to watch the movie. When it was over, we did our raffle, I reminded them that “God made you special and He loves you very much!” and sent them home. It was a ton of fun. Before I close this post, I want to make special note of our decorations. At one point in the story, there is a water balloon/pie fight. I made a bunch of paper pies and balloons, and my friend Ginger put them up. She did amazingly, especially for not being able to see very well. I have just one more post related to my daughter’s pirate party. When she wanted to do Jake, I knew that I’d need to do some crafting to make it work – I didn’t want to spend a bunch of money on the character plates and napkins when I can get cheap solid color stuff and then spend the money on more fun things! But we did need to get Jake and the other characters in there somehow! So how do you get a poster or large decoration of a character? This is a quick guide to show you how I made my posters. You will need a minor ability to draw, but no need to be an artist – I’m certainly not! The easiest way to get a poster is to print a coloring image on a transparent sheet, use an overhead projector, then tape the poster to the wall and trace the giant image. I don’t have an overhead projector, so I do the next best thing – I grid. This is exactly like the coloring book activities where 3/4 boxes are drawn and you need to figure out which box is missing and draw it in the missing space. Only you do all the boxes, not just one. Start by downloading the image you want. Then open it in a paint program and draw a grid over the image. You can make as many grid lines as you need. I usually do one horizontal and one vertical, see how big the boxes are, then divide once or twice more as necessary. Next, I draw the exact same grid on m poster board. In this case, the board was a bit wider, so Izzy ended up looking a bit more squat because I didn’t cut the board down, but that’s okay. From there, I use the grid lines as a guide to figure out proportions. Cartoons are basic shapes – circles, squares, etc. I draw those in light pencil until I’ve got the outline of the character. I usually have a lot of mistakes and use a giant eraser to fix those mistakes. It’s not a problem though because all of this will be covered up. I will say I had a terrible time doing Captian Hook’s face, so I drew a tiny grid inside the box where his face was – that allowed me to break the space down even more to be able to figure out the proportions better. Next, I take a black marker and draw over all my pencil lines. Then I make sure to erase all the pencil as cleanly as possible. From there, I start coloring everything in. With posters I like to use crayon because it doesn’t show coloring lines as much as markers do – though you don’t get as vibrant colors. (And paint is just a pain. I can use markers or crayons while watching tv.) I generally start with the lighter colors then move to the darker colors because the darker colors tend to smear. One really cool thing: if you color with a white crayon then use a colored crayon over it, the white will repel the other color, leaving the white area white. Finally, when everything is finished being colored, I carefully cut out the shapes! One neat thing about cutting the shapes out is that when you are coloring, you don’t need to stay in the lines – you can go over the edges because they are going to be cut. To get a clean cut, you just need to make sure that the black marker you used was thick enough, then, as you are cutting, cut in the center of the black line so that there is some black that is being trimmed off. When finished, I use painter’s tape to mount them wherever I want them displayed! One of the things I really wanted to make for my daughter’s party was a Ring the Hook game. I saw it on Pinterest but had a hard time finding good instructions. So here they are in case you need them. I bought the hooks on amazon here for a bit less than $4 each. Before I assembled, I splatter-painted the board I wanted to use. You can paint it anyway you want, but splatter painting is easy, fast, and you only need one color. First I pulled the hook out of the cup and tied a long ribbon around it. Next I drilled the holes where I wanted them on the wood backing. Then I fed the ribbon through and tied a knot. The knot on the back didn’t seem to do a great job holding them, so i ended up tying all 3 ribbons together, which kept it much more secure. Lesson – use a longer ribbon to start so I don’t need to cut and add extra ribbon. Ta-Da! That’s it! Turn it around and make sure it’s tight enough. It took like 15 mins to make. Really easy. Oh, the only other thing I had a hard time with was figuring out where to get the rings. I ended up buying an inflatable ring toss game on amazon for the rings, but ended up with the bonus gator – perfect for a Neverland Pirate party. Tick-tock, right on. The kids had a great time playing with him. You can find him here for $8. P.S. The hooks sometimes turn, and mine bent when the kids decided to pull the whole game over. If you want the hooks to stay up, you’ll need to glue them – but then you can’t reuse them. If you want the game to stay up, secure it better than I did (don’t just lean it against a fence and assume kids won’t be destructive). My favorite part was playing Find the Treasure. My daughter has a sandbox, so I bought a ton of gold doubloons here, as well as necklaces, bracelets, bouncy balls, and some sea creature squirter toys at the dollar store, then buried them. I gave the kids each a bag, then said, “Okay, find a necklace. Find a bracelet. Find a ball. Find a sea creature. Find 5 gold doubloons. Okay, now whatever else you find is yours!” And then they went crazy. They got to keep whatever they found as their party favors. Less that $15 to get a really fun game and really fun favors for a ton of kids. Ring the hook (more details in another post to come) and the food station (before food) with a “Make Yer Own Treasure” station below for the kids. Ship for play and photos. I used a tri-fold presentation board from Michaels – plus a bunch of props, dress-up and Halloween costumes. Plus the walk the plank – made from a long beam and a couple extra pieces of wood. Her cake – a bunch of cupcakes with blue and chocolate frosting. The chocolate has smashed Oreo crumbs. Super easy to make. Also, signs in the front yard. Made from scrap wood I had laying around. The Pirate flag was going to fly, but we tied it between shade that was already up to provide a bit more shade. Sold here. Plus the Pirate Banner – awesome because it was 100 feet! It covered our whole backyard for less than $7. Sold here. And a bunch of the random decorations we had lying around that I cobbled together into pirate-y atmosphere.